We agree! Are you listening, Bell Media?? We used our trusty Shazam app and discovered the song you’re talking about is “For Your Precious Love” by Otis Redding. It was really effective in that wonderfully sad, heartfelt scene between Betty and Victor Lisko. Fun fact: Betty Lisko is played by Karen Robinson, who can also be seen co-starring in Schitt’s Creek and Frankie Drake Mysteries, both on CBC. Now MasterChef Canada‘s Michael Bonacini has jumped into the mix with his own Gusto special Michael Bonacini’s Christmas at the Farm, airing Saturday at 10 p.m. ET on the specialty channel. The hour-long celebration ticks all the boxes for me: snow, a fireplace, decorations and amazing recipes. Add to that an amiable, charismatic host in Bonacini and Christmas at the Farm is a truly enjoyable project. But what sells Christmas at the Farm and sets it apart from other cooking specials is Bonacini. MasterChef Canada viewers get just a taste of his cooking knowledge and personality on CTV’s popular cooking competition. Here Bonacini is allowed to relax, show off his knife skills, discuss how he came to be a chef in the first place and how growing up on a Welsh farm impacted on his life. Michael Bonacini’s Christmas at the Farm airs Saturday at 10 p.m. ET on Gusto. Image courtesy of Bell Media. 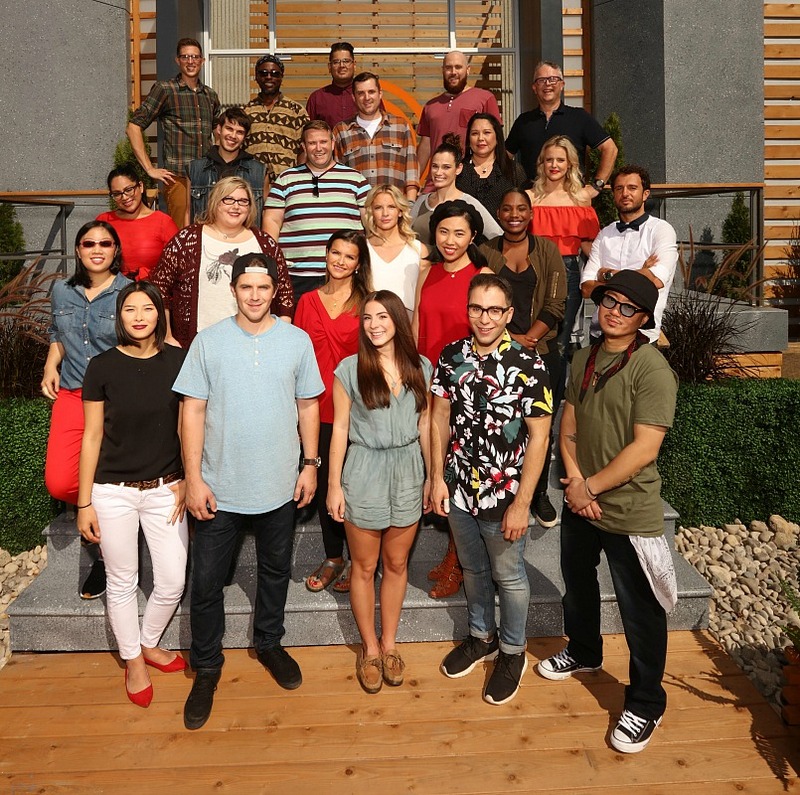 After four seasons of a reality competition program, it’s easy to grow accustomed to the format. MasterChef Canada is, after all, about home cooks competing against each other (and themselves) for the chance to impress judges Michael Bonacini, Claudio Aprile and Alvin Leung on the road to winning $100,000. How different can that be going into Season 4? Very. Returning on Thursday at 9 p.m. ET/PT on CTV, MasterChef Canada launches out of the gate with one heck of a twist to the audition process: 24 finalists receive a box of rice in the mail and have just 20 minutes to figure out what they’ll create. That happens before the contestants even set foot in the MasterChef kitchen. Once they get there the stress level only increases; this may just be the most dramatic and challenging season. Here’s what Michael Bonacini and Claudio Aprile had to say about Season 4 of the show. I was literally on the edge of my seat watching the first challenge. 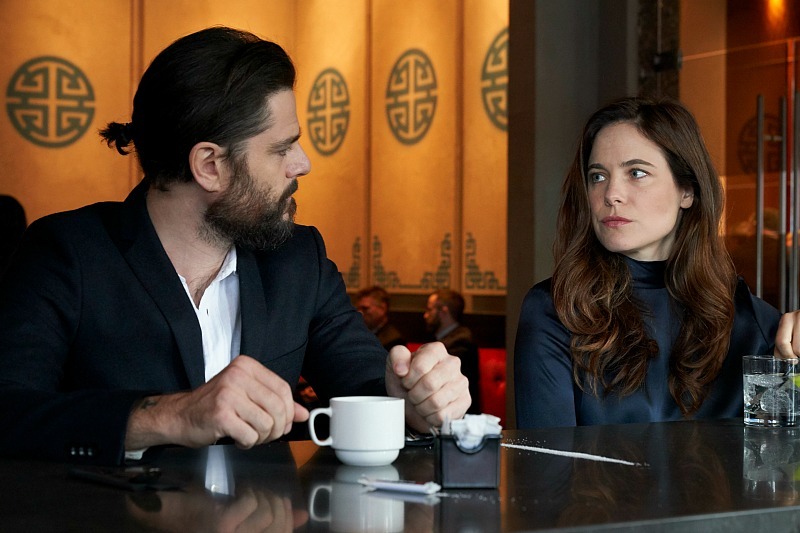 Michael Bonacini: It was a great twist and it’s been fun unravelling these twists before the home cooks’ eyes and seeing the sheer shock on this faces and the vibe that you pick up from being in that kitchen in the moment. It is priceless. Claudio Aprile: It really set the tone for the next 11 episodes because it was very intense, unpredictable … no one had any idea what was happening until it happened. I loved the curveball in Episode 1 because, at this point, in the franchise’s history, contestants think they know what’s going to happen. Michael Bonacini: It’s exactly that. Even you, as a viewer, think you know the rhythm and the routine. Every once in a while we’ll throw in a humdinger that turns it on its head and reinvents it, and leaves you gasping for breath. What keeps you coming back as judges every season? You all have restaurants to manage, so why do it? Claudio Aprile: I really enjoy it. I’m aware that it’s really rare to be on a show like this and when you arrive on set you realize just how special it is. I get to work with an amazing crew and have been a big fan of Michael and Alvin forever. We have a lot of fun. Sometimes we just pinch ourselves that we’re on this aspirational show which, I know it sounds cliché, has changed people’s lives. Michael Bonacini: It’s a real joy to be a part of. I was scared to death the first time I showed up on set and saw the magnitude of the set and the number of cameras and the crew. I felt so small and insignificant. It put the fear of God into me. You push yourself to do a better job each time every time to do a tasting or visit a cook’s station. You really want to be able to communicate how things taste and the technique they’ve used and hope viewers latch on to that as well. It’s not just the road of excitement of the show but what is going on in the mind of the cook. It’s truly a joy to be a part of this and to hang out with a couple of dudes like Alvin and Claudio is a bonus. Are you still looking for the same high bar from these home cooks? Has that changed in Season 4? Claudio Aprile: For me, it always boils down to one thing and that is making food that is delicious. Nothing else matters to me. When I’m at that podium and the home cook presents their dish, all I’m looking for is deliciousness. Presentation and creativity is important but if it doesn’t taste good, the presentation and creativity become irrelevant. Michael Bonacini: I think, as the seasons progress, there is this for me, the next group of home cooks to be that much better than the season before and so on. That’s tough to acquire and find and part of getting to that spot is part of our responsibility in terms of critiquing, the comments and the challenges. But there are definitely moments within every episode, every season, where home cooks exceed those expectations. There are disappointments, but when someone exceeds your expectations it just blows your mind. MasterChef Canada airs Thursdays at 9 p.m. ET/PT on CTV. Who will win Season 3 of MasterChef Canada? MasterChef Canada‘s Season 3 return date has been announced, and that means I can let you in on a secret: I know who’s going to win. Mary Berg, the insurance broker who nabbed a spot during the show’s auditions in Toronto last summer, is taking home the title and $100,000. OK, yes, I am biased. I don’t have an inside track or suspect MasterChef Canada is fixed; I’m just rooting for the energetic redhead because I followed her through the audition process up until the point she earned a place in the Top 40. Bell Media offered journalists two options during the summer event: bring something for the judges to taste or trail behind someone trying out. I opted for the latter—I love to cook but would have been too stressed out having Alvin Leung, Claudio Aprile and Michael Bonacini judge me—preferring to watch another go through experience. It didn’t take me long to be convinced Berg has what it takes to follow in David Jorge and Eric Chong’s footsteps. She oozes confidence and a girl-next-door quality that will connect with viewers, she has an inspirational back story that will tug the heartstrings and she can make damn fine food. The fact she’s a vegetarian won’t derail her plot to become Season 3 champion. MasterChef Canada returns Sunday, Feb. 14, at 7 p.m. ET/PT on CTV.